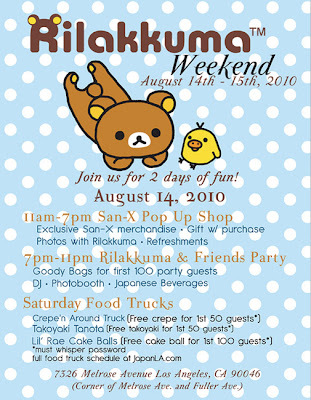 At the West Hollywood Target, the Lake Street Creamery Truck will be handing out free ice cream Saturday from 1-3:30 to the first 100 people in conjunction with collaboration with Los Angeles designers Poketo for bright, poppy bags and accessories. 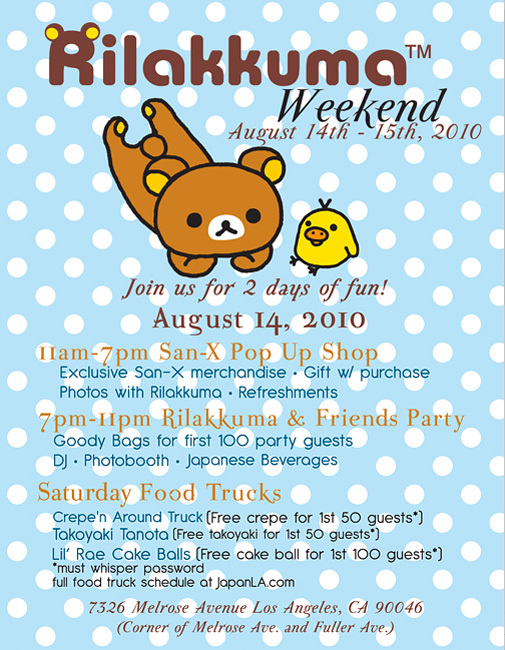 Meanwhile, head over to Umami Burger and JapanLA on Melrose for the Rilakkuma weekend with collectibles, specials at Umami and more, sponsored by the Japanese San-X character line. And coming up at Royal T is the most delicious sounding of all the events, a Sushi Pop Art dinner series Wednesdays and Thursdays August 26 to Sept. 9 from "artistic sushi" chef Kenny Yamada. The tasting menu and a la carte selections will feature sushi inspired by Royal Art's collection. Haven't got the chance to be their. Maybe next time around.